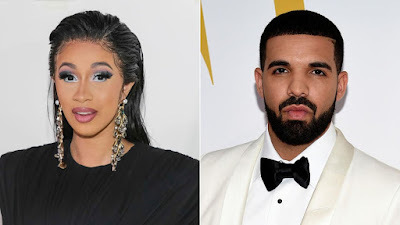 Cardi B and Drake have been known for their ground breaking music and also for always setting new records, and they are both leading the AMA awards nominations this year. The Bodak Yellow singer has been nominated 8 times, same for Hotline Bling hitmaker, making them the highest AMA awards nominated artiste this year. Cardi 's nominations includes for New Artist of the Year, Favourite Female Artist – Pop/Rock, Favourite Artist – Rap/Hip-Hop and Favourite Social Artist as well as Collaboration of the Year for her song ‘Finesse’ with Bruno Mars. Drake also receives eight nods in total and has been listed in the Favourite Album – Pop/Rock category for ‘Scorpion’ and Favourite Song – Pop/Rock category for ‘God’s Plan’. The 31-year-old rapper also receives nods for Artist of the Year, Favourite Male Artist – Pop/Rock and Favourite Artist – Rap/Hip-Hop.